It’s Sakura season once again, but the queen’s garden is not yet ready. It needs plants, decors, and a lot of tending. The good thing is you’re there to help Queen Ayame and her assistant, Haruo, who shall be your guide. Queen’s Garden Sakura Season pays homage to one of the most beautiful seasons in Japan, spring, and to make it even more entertaining, you get to experience it through a unique and fun match 3 game. The basics of this game are no different from all the other match 3 games. 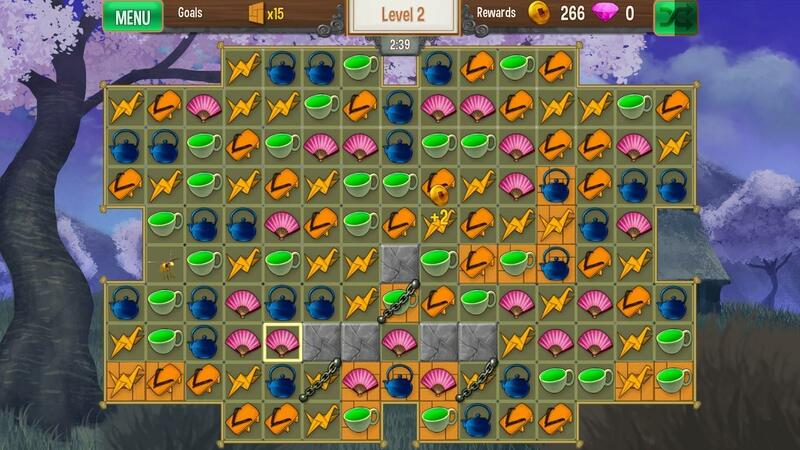 You still have to make at least three similar matches as well as clear obstacles. Every level – and there are more than 115 of them – also includes goals such as collecting blocks. But the game knows how to make it a rather run-of-the-mill casual game into something more interesting. 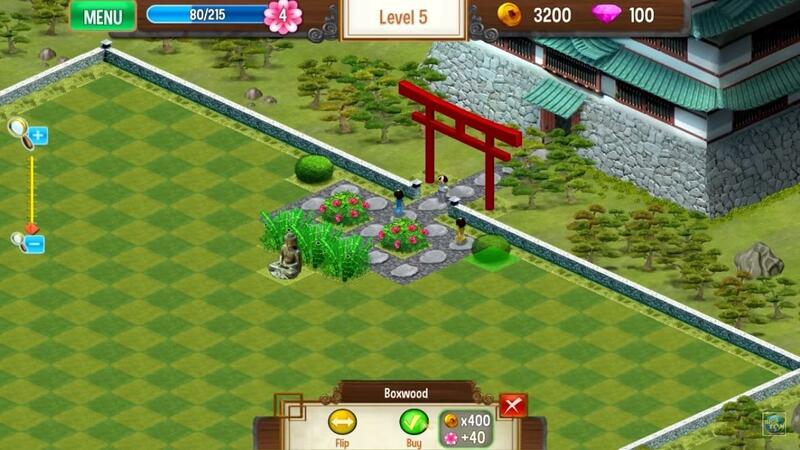 Besides playing the game, you have another lofty goal, and that is to decorate the garden. You can accomplish that by playing the levels, which will reward you with coins and Sakura blooms. The coins will let you buy the plants and decors you need. The blooms, meanwhile, are necessary to level up. Each time you do, you unlock more items in the store. Every item, meanwhile, corresponds to a number of blooms, which will then speed up your level-up. To make playing as engaging as possible, the game introduces characters like visitors. The more you decorate the garden, the more you attract people. In between the match 3 games are the mini-games. These are very simple but cerebral games that still align with the central theme. 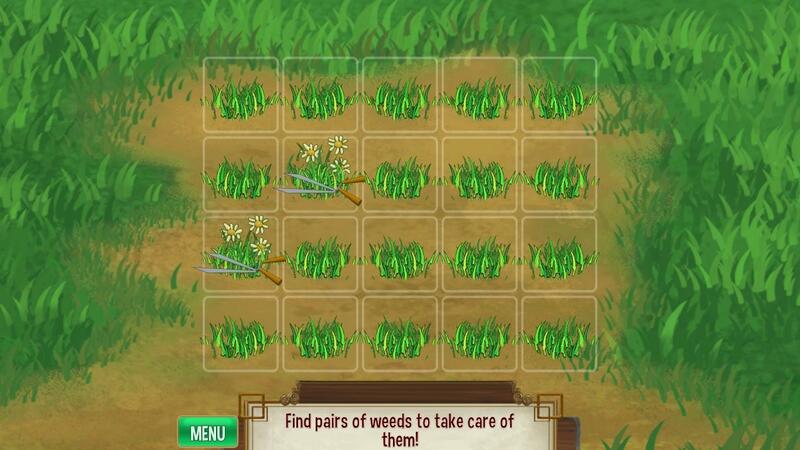 For example, to get rid of the weeds, you pair each of the weed boxes. The game tries to cater to different types of players, from the newbies to the veterans. To do this, there are several modes available: Timed, Relaxed, and Piece of Cake. The timed version doesn’t have any set limit, but the sooner you finish the level, the bigger your bonus is. These bonuses are not present in the other two options. You have the chance to change your playing mode at any time during the game. It doesn’t reset the level unlike other match 3 games. You can also restart the level, as well as replay it to score higher and earn bigger rewards. If you don’t want to play the mini-games, you can skip them. However, it may not be to your advantage since these are the ones that give the highest rewards: thousands of coins and blooms. Hidden in some levels are diamonds, which you need to acquire by matching the items around them. Like coins, they help buy the decorations. Nevertheless, they are still special since they don’t come by often. Moreover, they can potentially level you up very quickly. Adding to the charm of the entire game is the music, which is soothing, perfect for the garden setting. It also invokes the picture of ancient Japan.